Posted in: Public Outreach. 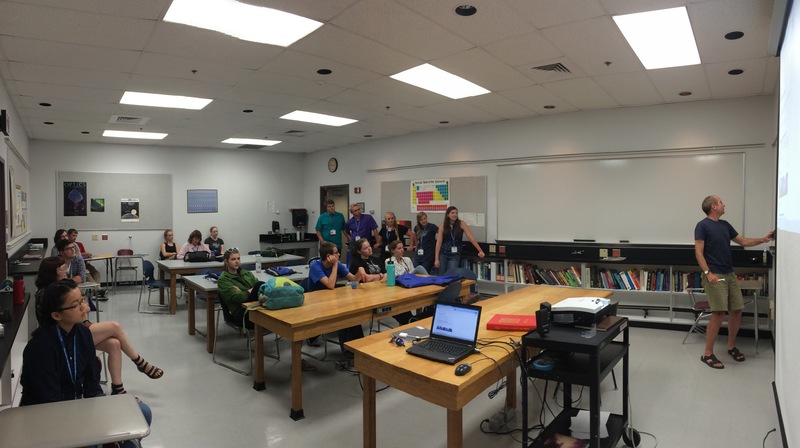 Tagged: astronomy, istem, public outreach. On Friday, we welcomed visitors from among the Idaho Science and Aerospace Scholars program. This is an Idaho Science Technology Engineering Math (STEM) Program for rising high school seniors and provides an opportunity to learn in-class and hands-on during the school year and summer academy. The students spent most of their week at Boise State but also had a fun trip to NASA Ames to explore the facilities there. 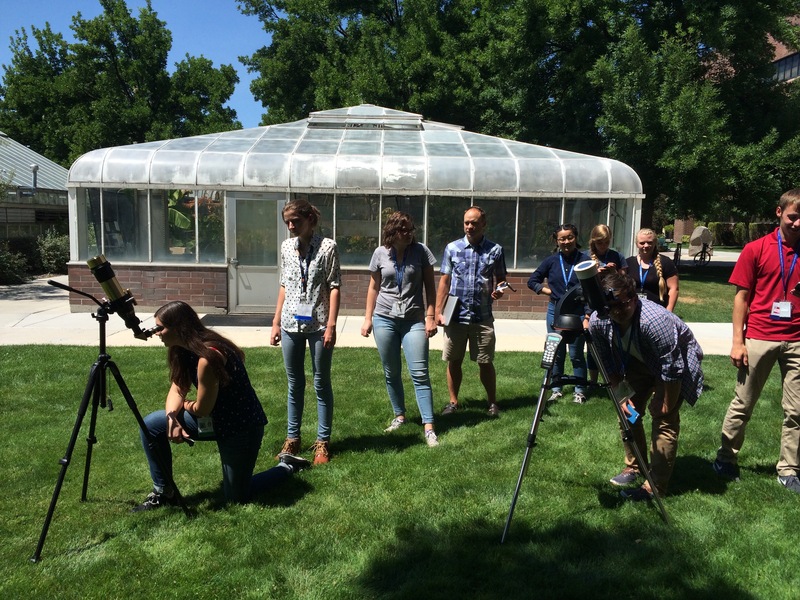 In the Physics Dept., we hosted a group of 12 students from among the ISAS crowd, all of whom specifically requested to learn about astronomy during their Boise State visit. The students came from all over Idaho, including local Boiseans. They spent the first hour of their visit learning about the physics research going on at Boise State and then exploring the night sky using a sky simulator like stellarium. Never look at the Sun with the appropriate equipment! Then we went outside to look at the Sun using our solar telescopes. Fortunately, there was a beautiful solar filament strewn across the face of the Sun. Dr. Josh Bandfield explains thermal conductivity and how we can use it to learn about Martian volcanoes. We retreated from the 100-degree temperatures to join my research group’s weekly meeting, where planetary scientist Josh Bandfield regaled us with stories of Martian volcanology and recurring slope lineae. Although the students were pretty tired by the end, they seemed very enthusiastic, lobbing a wide variety of questions at Josh and engaging in a spirited conversation about water and life on Mars.